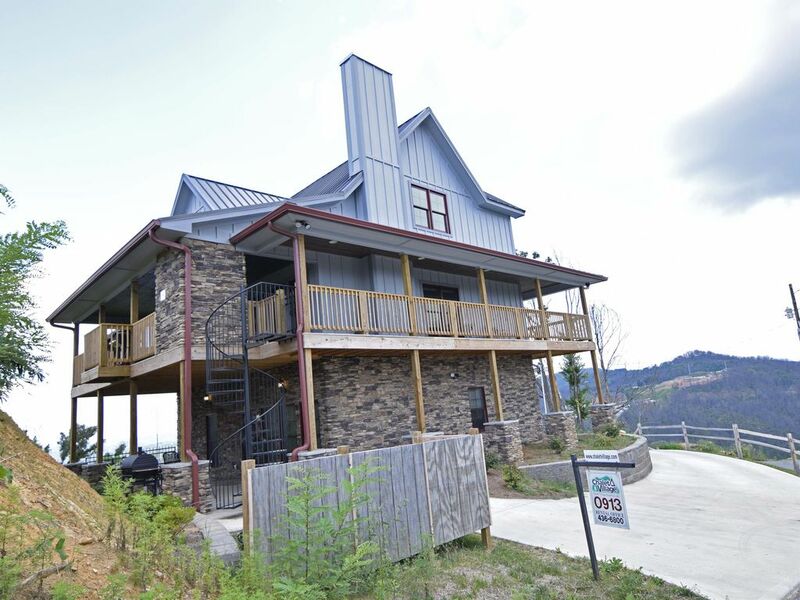 A Bearvue is a brand new cabin with all the amenities to make any vacation memorable. You will have 5 luxurious bedrooms on 3 levels and 3.5 baths to enjoy. This cabin has large flat panel tvs in every room and 2 large covered decks for outdoor living, also for the winter season there are 2 gas fireplaces one in the living room and one outdoor on the upper level deck. For more information about "Bearvue" or any of our other properties contact Chalet Village at. It was a very relaxing and adventurous stay. We had an opportunity to see three bears during our last night on the property, what an awesome sighting. What can I say this place was amazing! Since we parked till we walked in we were at awe. I also own vacation rentals in Miami Beach Bimini and at the Florida Keys so I'm very picky I know what it takes to have a great property. It was spotless! Enough towels greats beds. Kitchen was so well supplied. The house is brand new. Great instructions for everything. Amazing gas fireplaces inside and out. Views for days. I can't express how great this place was because it was honestly one of the best homes we have ever stayed at. The only down fall for me was the drive up and down the mountain. I'm a scary cat and the roads really scared me (I don't ride roller coasters) and when the area is covered in clouds it is difficult to see. But we were a group of 12 and I was the only one scared everyone else thought it was cool. You are so high up house gets completely covered in clouds. It's a sight to see. Wish I could've written in the journal they had but ran out of time. If you stay read it has amazing bear stories. Can't wait to come back trying to book another trip before ski season ends.